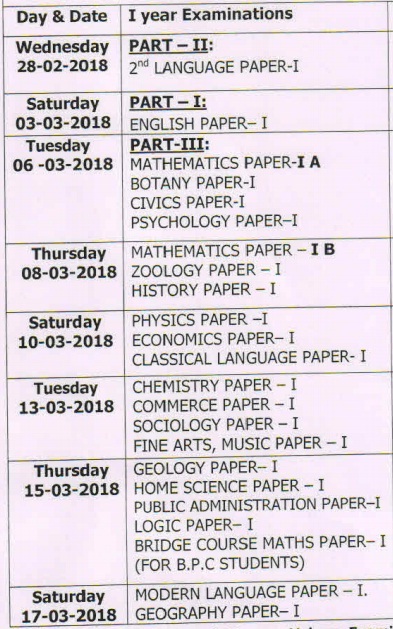 08-03-2018: Mathematics Paper 1B, Zoology Paper 1 and History Paper 1. Practical exams are proposed to be held from 1st February 2018 to 21 February 2018. Environmental education exam will be conducted on 29 January 2018.